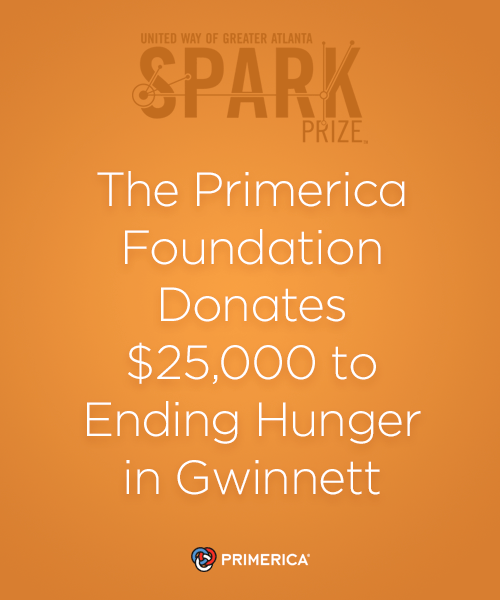 The Primerica Foundation, along with The United Way of Greater Atlanta and other partners, aims to take on student hunger within the Gwinnett County School District thanks to school level non-profit organizations, one of which was started by a tenth grader. The Primerica Foundation is committed to supporting community causes that contribute to self-sufficiency for low-to-moderate income families and individuals. Now that they’ve been given $25,000 in seed money to get started, a discreet on-campus food pantry at Peachtree Ridge High School in Suwanee and an elaborate community garden at Meadowcreek High School in Norcross will have the funds to watch these projects grow. 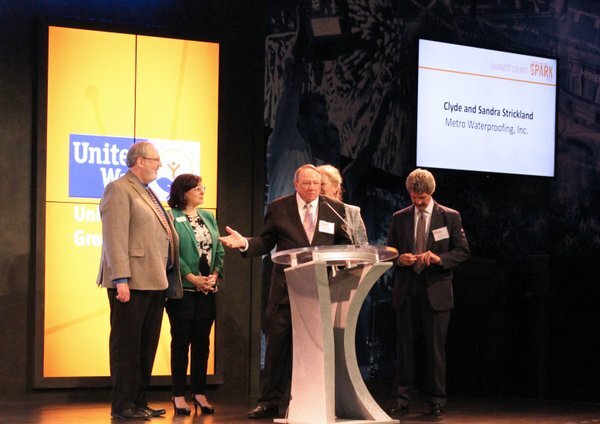 The “micro-grants” were awarded through the inaugural Spark Prize Gwinnett, a newly formed non-profit competition to recognize community members who are addressing areas of concern in hunger, health, education, income, and homelessness within the county. 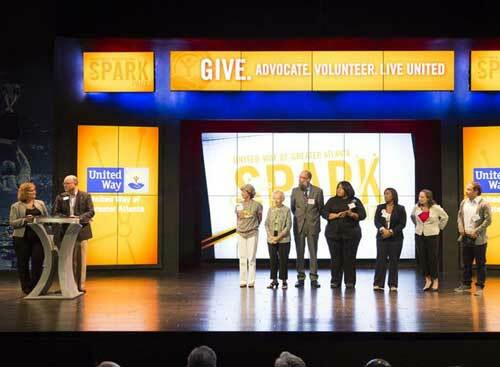 Based on the model of the existing United Way Spark Prize competition in Greater Atlanta, which wrapped up its second competition this year, the “spark” for the local competition came about when Anne Soutter and Karen Fine Saltiel, who work in the Community and Foundation Relations Department at Primerica, attended a United Way Conference in 2015 where live judging of 2015 Spark video submission pitches was taking place. Local applicants seeking funding for their projects vied for the prize money by submitting video applications explaining their idea, their partnerships and solutions to a particular local issue. A group of finalists were chosen and presented their final pitches to a panel of judges in a “Shark Tank-style” fashion in front of a live audience held at the Primerica headquarters on Thursday, April 28. 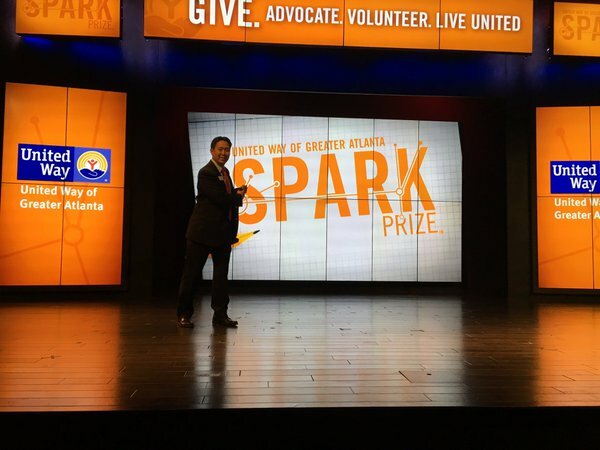 Prizes were awarded from a $100,000 Spark Prize purse with contributions made by The Primerica Foundation, United Way of Greater Atlanta, The Community Foundation for Northeast Georgia, Partnership Gwinnett, the Gwinnett Coalition for Health and Human Services and the Atlanta Community Food Bank. The Primerica Foundation donated $25,000 to the purse. This entry was posted on Monday, May 16th, 2016 at 12:03 pm	and is filed under Community, Company, Primerica. You can follow any responses to this entry through the RSS 2.0 feed. You can leave a response, or trackback from your own site.